Screenprint on Arches paper in an edition of 50 impressions. One of nine images of Maine from the folio of prints and poetry (by Frederick Lowe) entitled "Intimate Views: From Away". 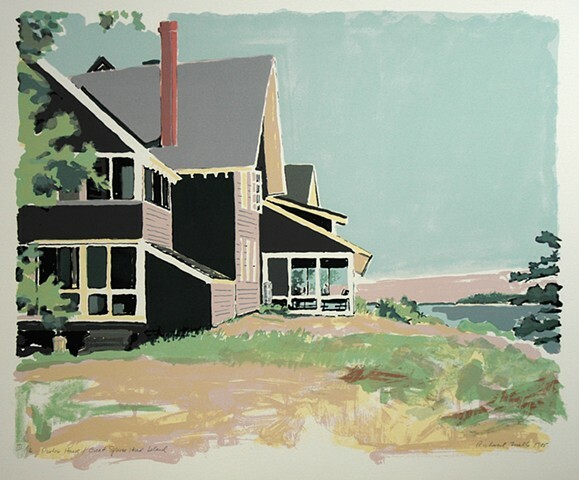 An homage to Fairfield Porter. This image is based on an oil sketch done on site. Porter's father built this house, the interior of which has been often represented in Porter's ouevre. I chose this odd angle as tribute to Porter's own often akimbo composition and temperament.